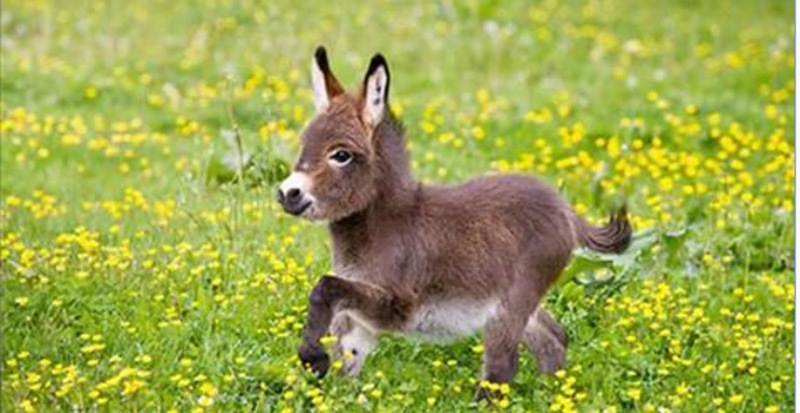 Home » life » 13 Reasons To Stop What You’re Doing And Get A Dwarf Donkey, Right Now! 13 Reasons To Stop What You’re Doing And Get A Dwarf Donkey, Right Now! Looking for a pet but are not interested in the standard dog or cat option? Well, if you want something different, you may be interested in a mini-donkey! These guys truly are a trip as you’re about to see. They’re about as cute as it gets. Total fur-balls with precious looking mugs! Dwarf Donkey’s are really cool pets that are great with kids and they get along well with other animals. But those are just a few reasons you should consider a miniature donkey. Check out all these different reasons why this just might be the pet for you! #2. And Yes, they look this adorable when hopping through your yard! #4.Keep scrolling to see MORE! #4. ALWAYS! #7. Cutest ears in the animal kingdom? Check!! #13. OMG, just look at that adorable fuzzball. We would totally name him Buster and take him rafting! Enjoyed this post? Share it with your animal loving friends on Facebook!